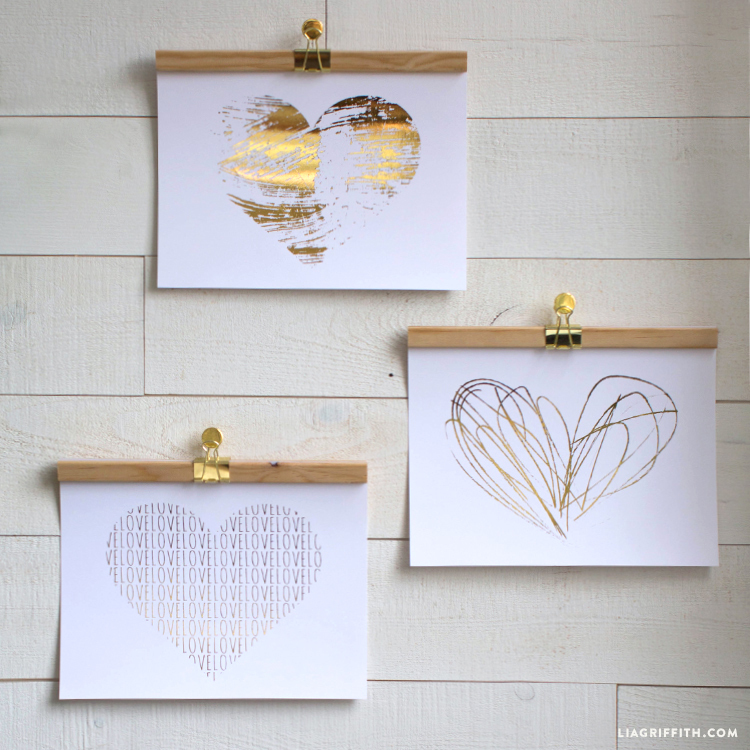 Show your home some love with this printable wall art for Valentine’s Day. 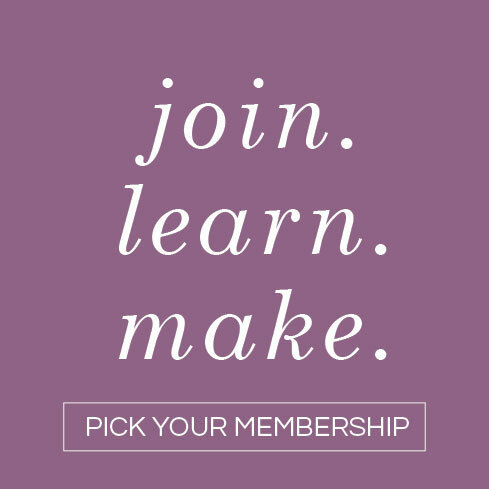 We’ve created three lovely designs you will fall in love with… So easy to create with such stunning results! You can simply print and frame, or follow the instructions below if you want to take your project to the next level with foiling. 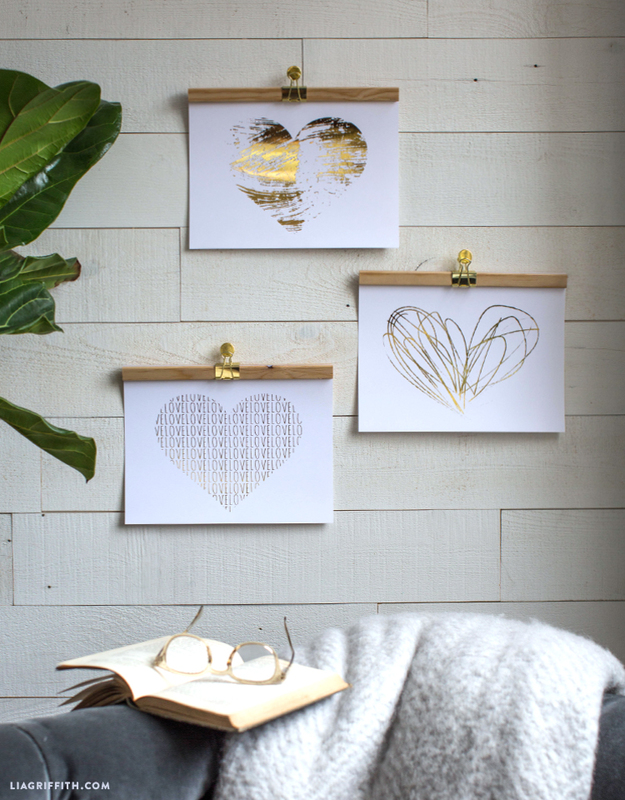 Make your own wood artwork hangers while you’re at it! 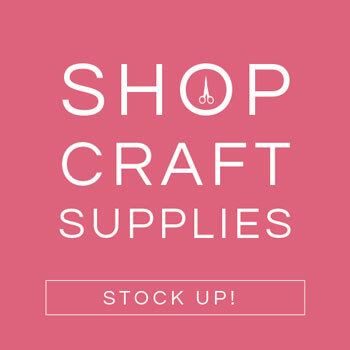 Happy Valentine’s, crafters! 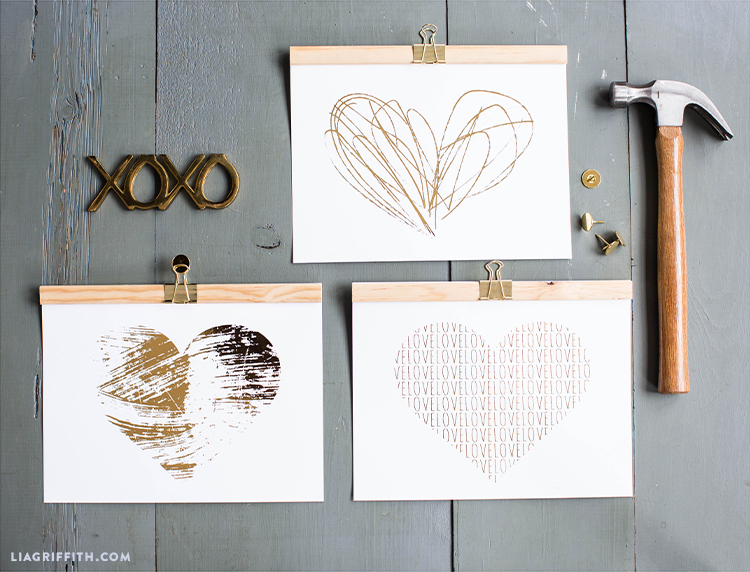 There are two versions of the Valentine’s heart art in our download — a black version and a faux gold version. Choose your preferred color and print onto 8.5 x 11 white cardstock. We decided to foil our prints. Did you know laminators also double as foiling machines? If you want to try this out for yourself, know that it will only work if you print the designs with a laser printer (the foil fuses with the toner). 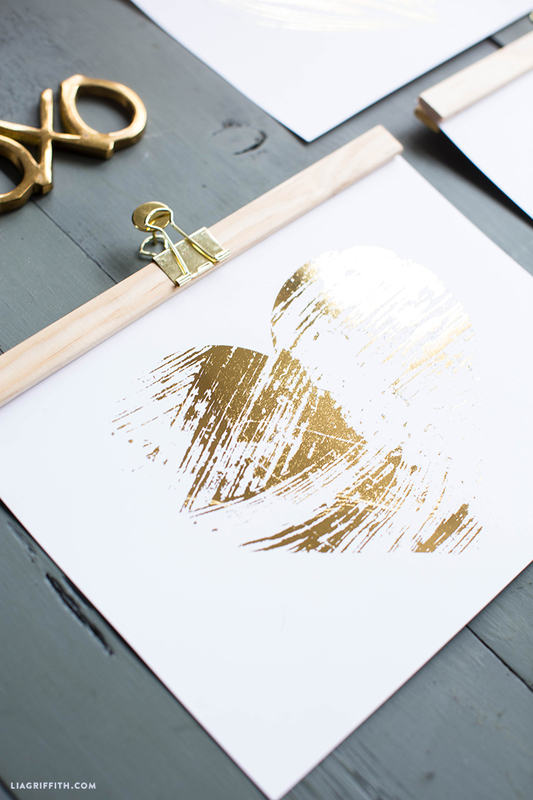 After printing, place a gold foil sheet on top of the cardstock, making sure to cover all of the inky areas, and then send it through the laminator. I was also interested in those lovely hangers!! 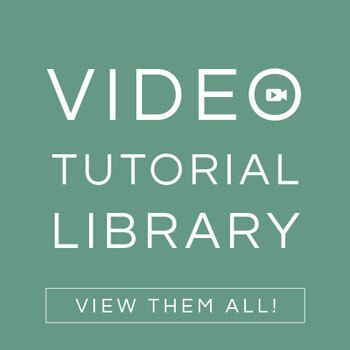 Where can I find the wood clamps that grip the top of these printables? We’re planning to post a version of that project soon! They’re just strips of wood from the local hardware store, with a gold binder clip.